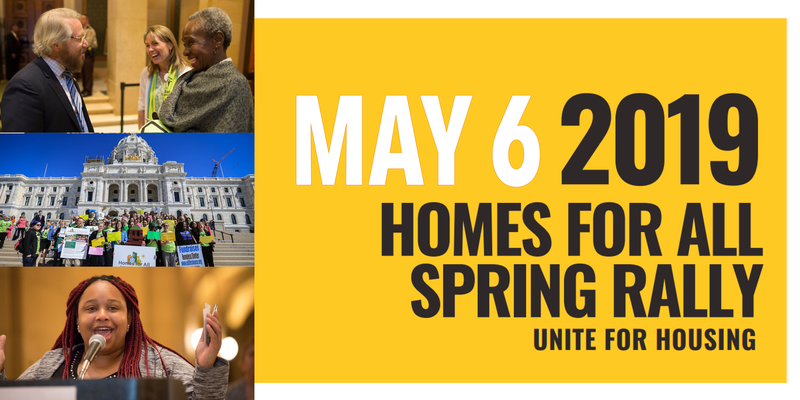 Join Homes for All on Monday, May 6 at 2pm at the State Capitol Rotunda to show legislators we are united in our belief that every Minnesotan should have a safe, affordable place to call home. Homes for All endorser Avivo, in partnership with Red Lake Nation, recently announced that it has housed 103 individuals from the Wall of Forgotten Natives Minneapolis homeless encampment/Navigation Center in less than six months. Joining forces with the ambitious goal of housing 100 people in less than six months, Avivo and Red Lake surpassed their goal in less time than they had anticipated. This is a phenomenal achievement! Governor Walz’s recent budget highlights housing as a critical issue facing Minnesota, calling for investments across the housing continuum from homelessness to homeownership. We commend the Governor for giving the housing crisis the increased attention it demands, but we know that we must do more to meet the housing needs of students, families, employers, and communities across Minnesota. 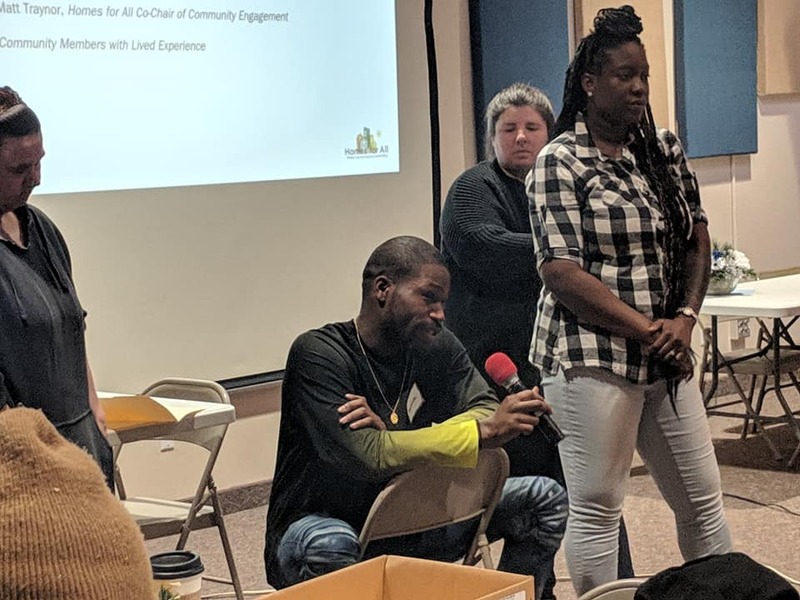 Homes for All recently hosted two legislative kickoff events in Bemidji and the Metro to celebrate the beginning of session and join together as advocates for Homes for All's 2019-2020 legislative agenda. Here Sandy Hennum, Executive Director of Village of Hope in Bemidji, and Carmel San Juan, intern at Minnesota Coalition for the Homeless, offer their thoughts on the respective events. Thanks, Sandy and Carmel, for sharing!